RSV stands for respiratory syncytial virus and according to the Centers for Disease Control and Prevention (CDC), nearly all children will be infected with the virus by their second birthday. 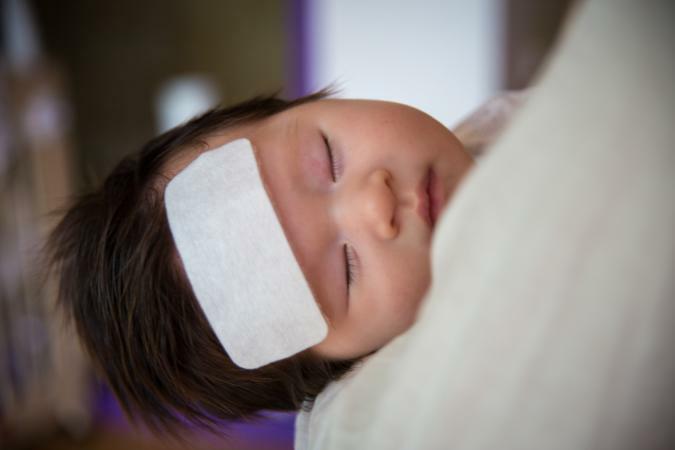 You might be surprised to read that, most of the time, RSV is indistinguishable from the common cold; however, for infants younger than six months, the virus can be serious and even deadly. RSV is a highly contagious virus that causes lower respiratory illness. It is readily spread through direct contact with secretions from the nose or mouth. The virus is most contagious during the first two to four days of infection and is most prevalent during the winter months and in the early spring. The symptoms of the respiratory syncytial virus will usually mimic those of an upper respiratory infection. Pauses while breathing, particularly during sleep. A young child with RSV will usually experience mild cold symptoms but the virus can manifest into more serious illnesses such as bronchiolitis and pneumonia. The Centers for Disease Control and Prevention reports that one to two percent of children younger than 6 months with the virus may need to be hospitalized. During a hospital stay your child may require oxygen therapy, intubation, and/or mechanical ventilation to help them breathe. Most children improve with care and are sent home within a few days. If your infant is less than 6 months of age, and he is less active than normal, refuses to feed or is more irritable than usual, you should call your pediatrician right away. Call 9-1-1 if your child is having difficulty breathing, is breathing very rapidly, is lethargic, or if his lips or fingernails are a bluish color. Give your child plenty of fluids such as breast milk or formula. Use saline drops to loosen mucus in his nose. Use a syringe bulb to suction excess mucus. Use acetaminophen (Tylenol) to treat fevers. Never give your child aspirin. Moisten the air using a cool-mist vaporizer. Keep your infected baby at home until the incubation period has passed. Wash your hands often to stop the spread of germs. Children at higher risk for the viral infection such as newborn infants, premature babies, or children with certain heart or lung diseases may be prescribed Palivizumab, a monthly, injection that can offer extra protection throughout the RSV season. An initial dose of the vaccine is given before the RSV season, followed by one dose of the vaccine every 28 to 30 days throughout the season. Speak with your provider about the medication, how many immunizations your child will need, and the vaccine schedule. The cold winter months can be harsh on your baby's immune system. Early recognition of the signs and symptoms of the RSV virus can ensure your child has the best possible health outcomes.